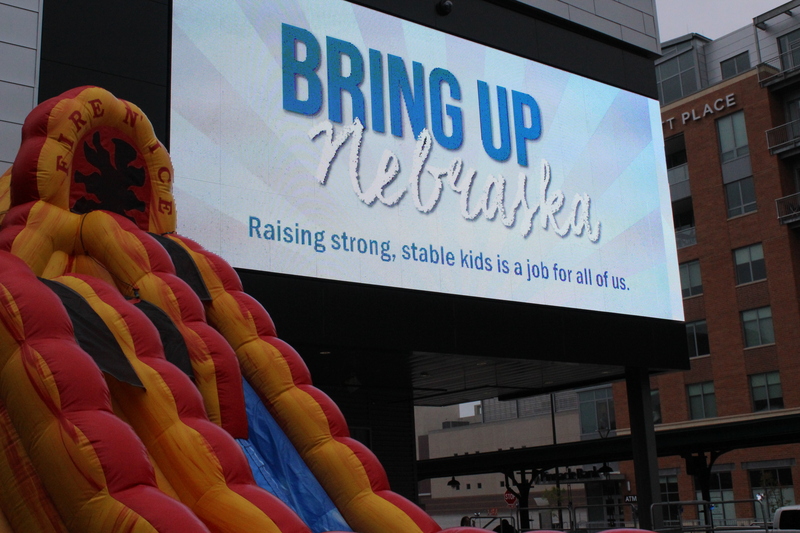 On Saturday, April 25, Nebraska Children closed out Child Abuse Prevention Month with a massive family celebration and educational event. The 2nd Annual Pinwheels for Prevention Picnic almost didn’t happen – early morning showers and a cool breeze almost shut down the event. 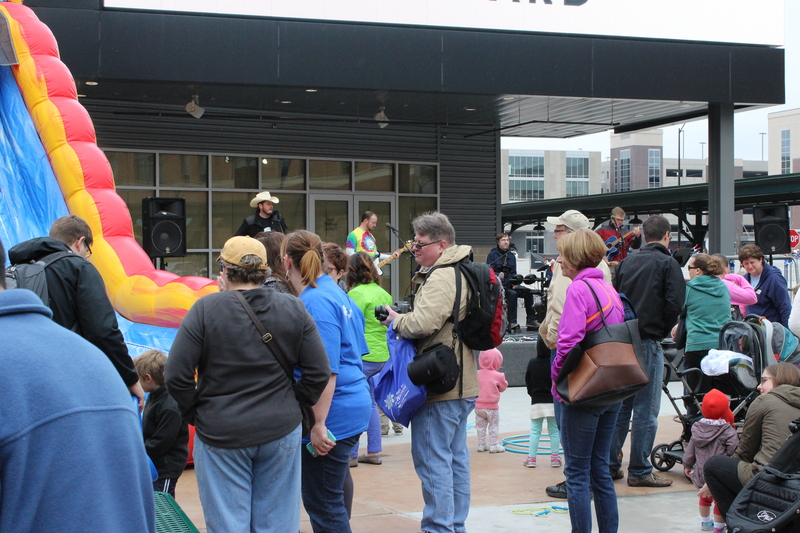 But with a little cooperation from Mother Nature, some portable heaters and volunteers willing to towel off all the seats in the Railyard, the event went off without a hitch. 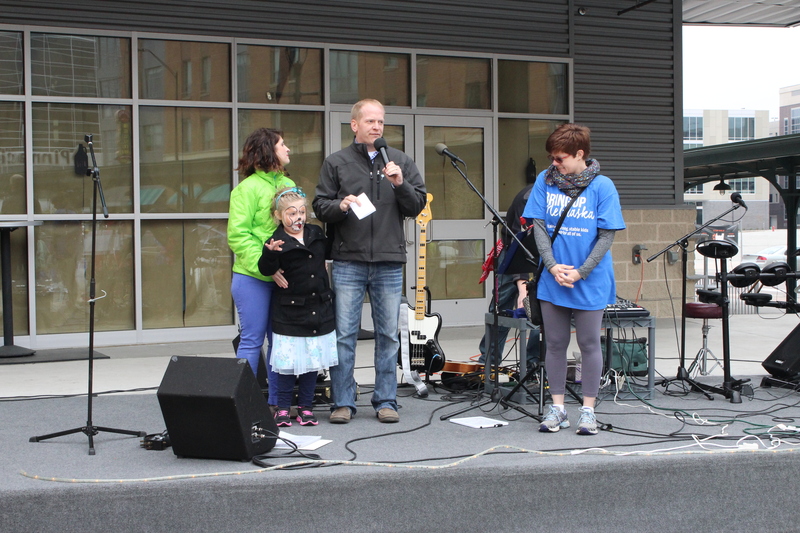 Kelly Medwick started off the day introducing Brandon Verzal, the picnic emcee and chair of the Nebraska Child Abuse Prevention Fund Board. Brandon told his family’s story. Their daughter, Alexis, was a victim of child abuse at the hands of a caregiver. Together, the family works to raise awareness of child abuse issues and to help build prevention systems across the state. Next up, Courtney Philips, the new CEO of the Nebraska Department of Health and Human Services took the mic. 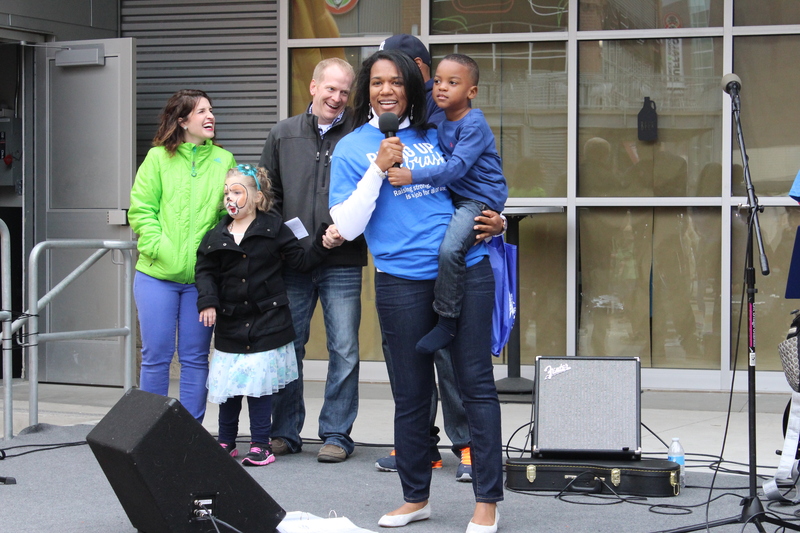 She described to the audience her vision for community-based child abuse prevention, where parents mentor and support one another, and the community provides services that strengthen families and prevent abuse. 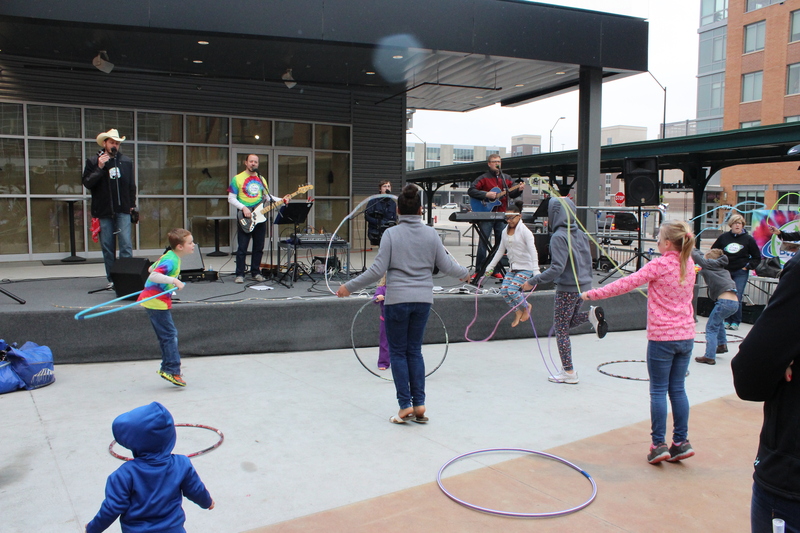 Next, the family-friendly String Beans took the stage with their homegrown brand of music and interactive audience participation. 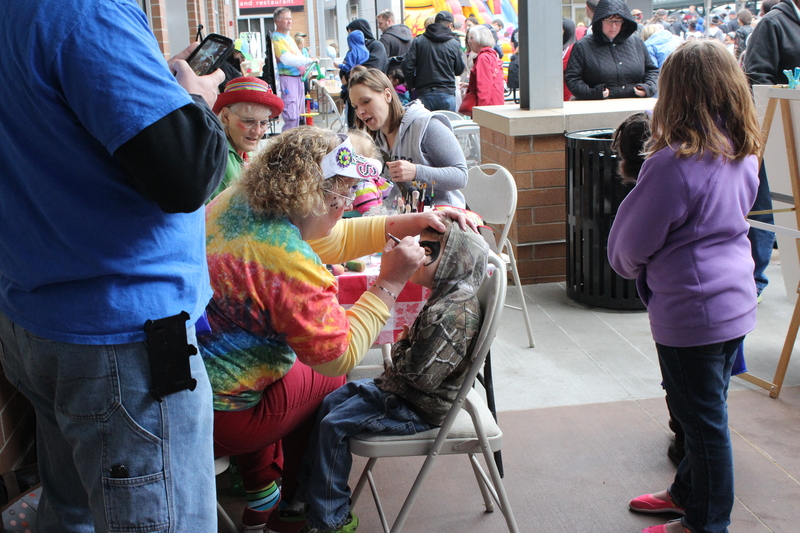 Kids at the event enjoyed a bounce slide, face painters, balloon animals, cotton candy and free food from Buffalo Wings and Rings and Jimmy Johns. Runza and Raising Cane’s provided giveaways. 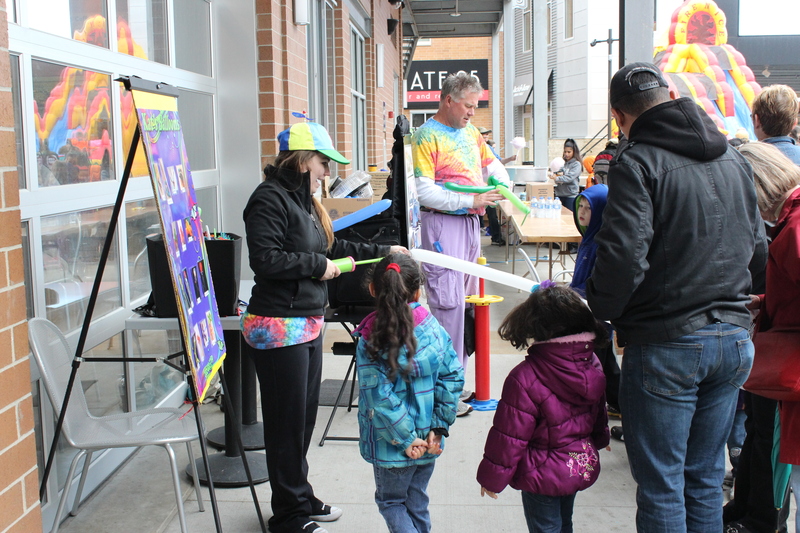 Families were also invited to take free giveaways that promoted healthy family interactions. 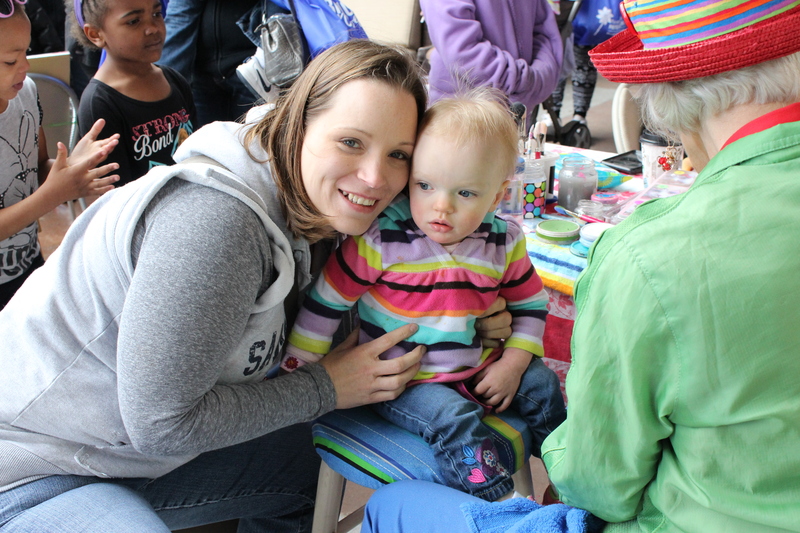 At the end of day, more than 300 parents and children braved the rain to learn more about positive parenting and spend time together. A rousing success!